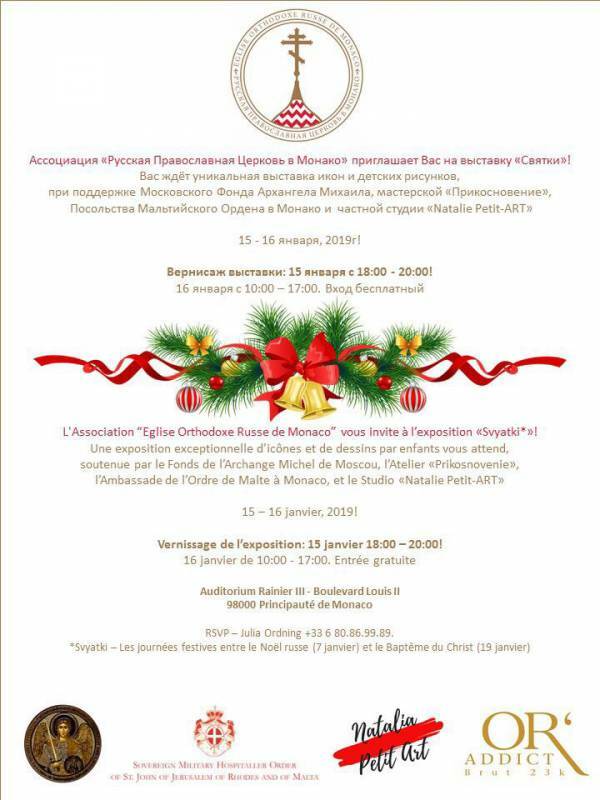 Association of the Russian Orthodox Church in Monaco invites you to the Exhibition “Svyatki” (Russian festive Christmas time) on 15-16 January 2019. You will find a unique exhibition of icons and children’s drawings, with the support of the Moscow Foundation of the Archangel Michael, workshop “Touch”, the Embassy of the Order of Malta in Monaco and the private studio “Natalia Petit-ART”. Vernissage of the exhibition is on January 15, at 18.00-20.00.